In response to the unprecedented flu epidemic this year, OpenSesame is proud to offer a free online training course for flu prevention. The Centers for Disease Control reports the flu has reached epidemic levels in the United States this year, affecting communities in all 50 states. As a result, we teamed up with our partners at BlueVolt to create a quick and simple health education training course that companies can use to keep their employees safe and healthy. 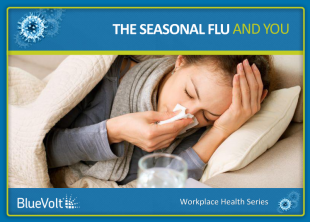 The interactive 10-minute course explains the flu and how it spreads; tips for staying healthy when working with colleagues and customers; how to reduce flu exposure when traveling; and steps an organization can take to reduce the spread of flu in the workplace. Go to opensesame.com/flu to preview and take the free course. Organizations can also use CourseCloud™ to send email invitations to all of their employees for the course or they can download a SCORM file to use the course in their corporate learning management system. Questions? Get in touch or check out the press release.